There are many reasons you may frequently need to extract only the unique distinct values from a column in an Excel worksheet. 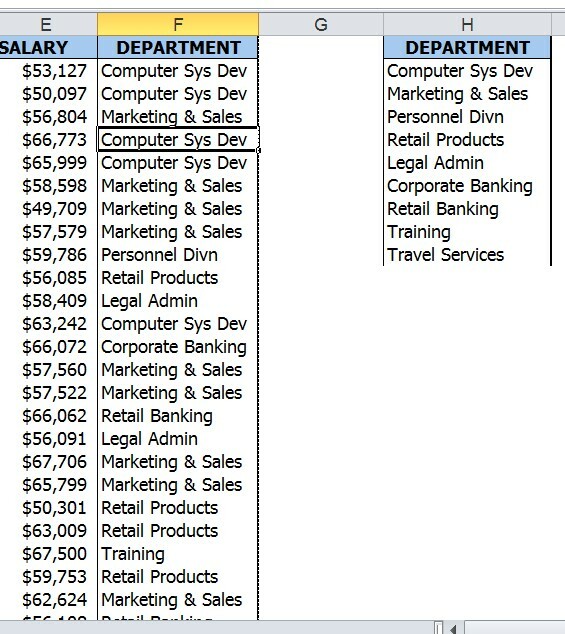 For example, a mailing list where names may be duplicated, product lists where the same product ID appears multiple times or as with the simple example shown here, a list of departments. 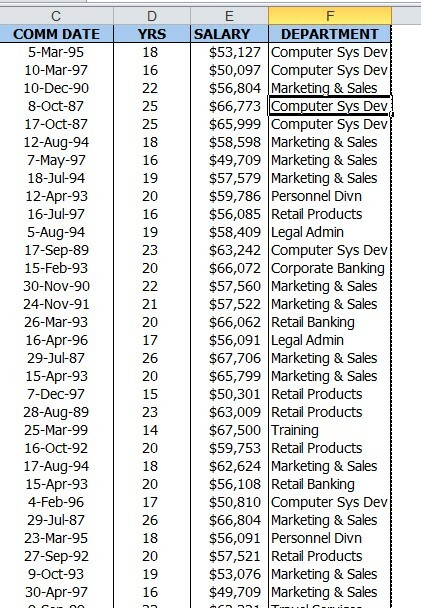 There are several methods using formulas and some can be quite complex and beyond the knowledge of a casual Excel user. One simple method which is often overlooked is the use of the Advanced Filter Tool. 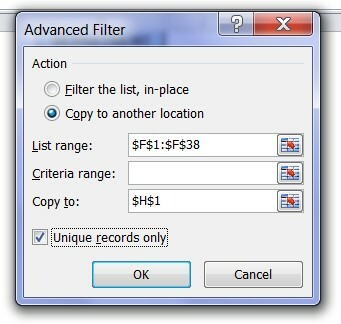 Using Advanced Filter, the unique values can be filtered in place or extracted to another location on the same worksheet or another worksheet. Select the range of cells, or make sure the active cell is in a table. Click on Advanced in the Sort & Filter group. Click Copy to another location. Select the Unique records only check box, and click OK. If you’d like to learn more about manipulating and summarising large datasets, join our Excel Intermediate Level 2 and Excel Advanced Level 1 courses in Sydney or Melbourne. Check out our full range of Excel courses here.